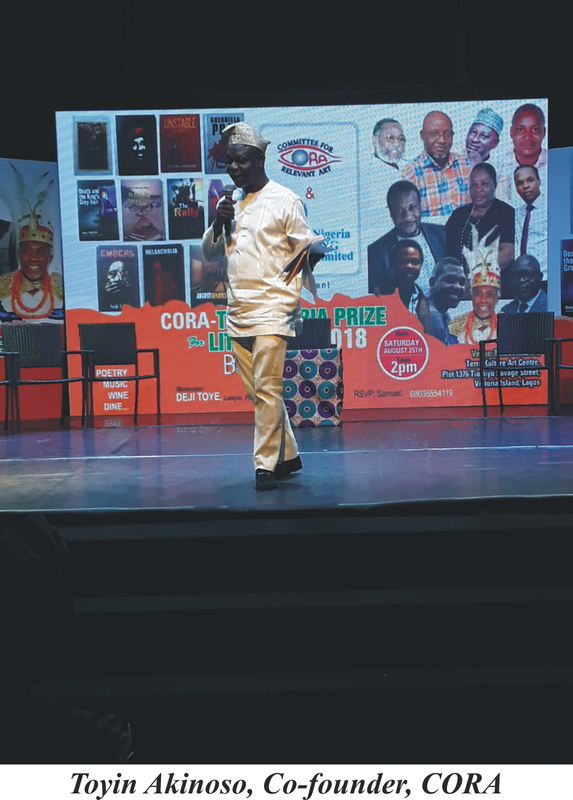 Held for the second consecutive year at the impressive space of Terra Kulture Arena, Victoria Island, Lagos, the CORA/Nigeria Prize for Literature book party 2018 is the third book party I have attended. It is my first dedicated to theatre arts in the rotational cycle of the Prize’s four genres: prose, poetry, drama and children's literature. This year, with the help of the Prize’s Advisory Board, the judges will seek to crown a playwright king (or queen) of them all. The Committee for Relevant Art invariably curates its annual book party for the Nigeria Prize for Literature with impressive attention to detail. This year was no exception: a colourful, loud Yoruba dance troupe welcomed guests into the state-of-the-art Arena with masterful talking drums holding our attention. An important celebration of the arts, the book party broke tradition by being the first to be hosted on a Saturday rather than a Sunday by the outstanding CORA team of Jahman Anikulapo and Toyin Akinosho. Akinosho has described the book party as part of CORA’S ‘extension services: midwifing the interaction between the culture producer and the consuming public’. 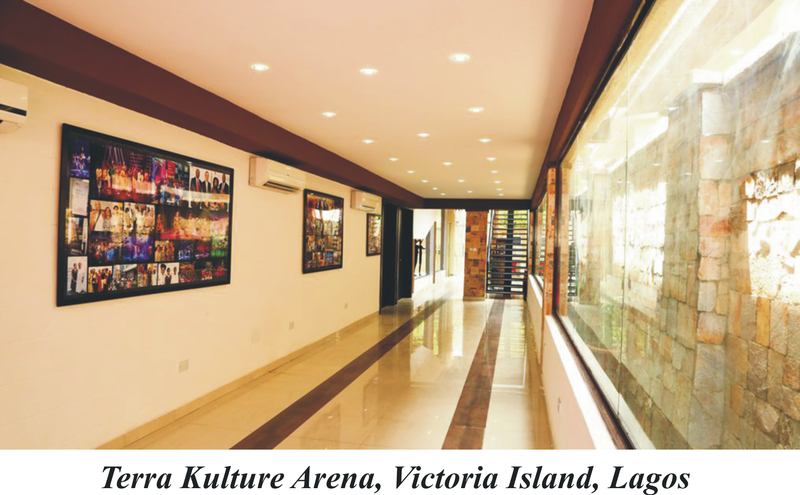 This celebration additionally looks forward – to the Lagos Art and Book Festival (LABAF) organised by CORA and held in Lagos every November. It is a high point of the city’s cultural calendar. For LABAF, a 20 year old initiative and for the book party, now in its 9th edition, CORA founders, Toyin Akinosho and Jahman Anikulapo, deserve celebration. “We haven’t got there yet; but it doesn’t stop us from believing that a full ecosystem of the book trade is still possible in spite of the age of Twitter. 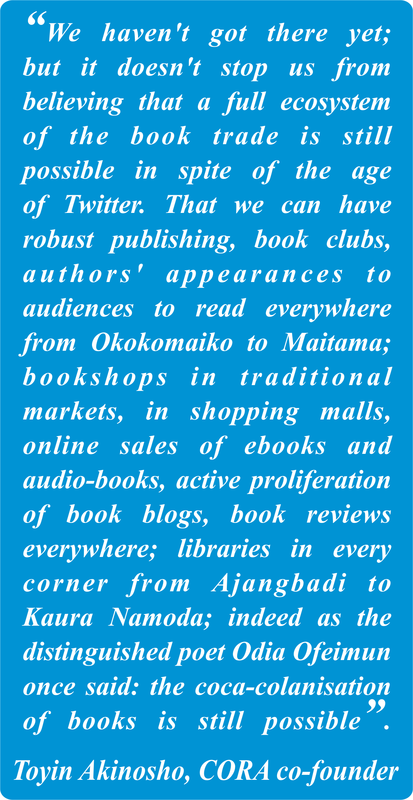 That we can have robust publishing, book clubs, authors’ appearances to audiences to read everywhere from Okokomaiko to Maitama; bookshops in traditional markets, in shopping malls, online sales of ebooks and audio-books, active proliferation of book blogs, book reviews everywhere; libraries in every corner from Ajangbadi to Kaura Namoda; indeed as the distinguished poet Odia Ofeimun once said: the coca-colanisation of books is still possible”. The sponsor of the Nigeria Prize for Literature is Nigerian Liquified Natural Gas (NLNG). 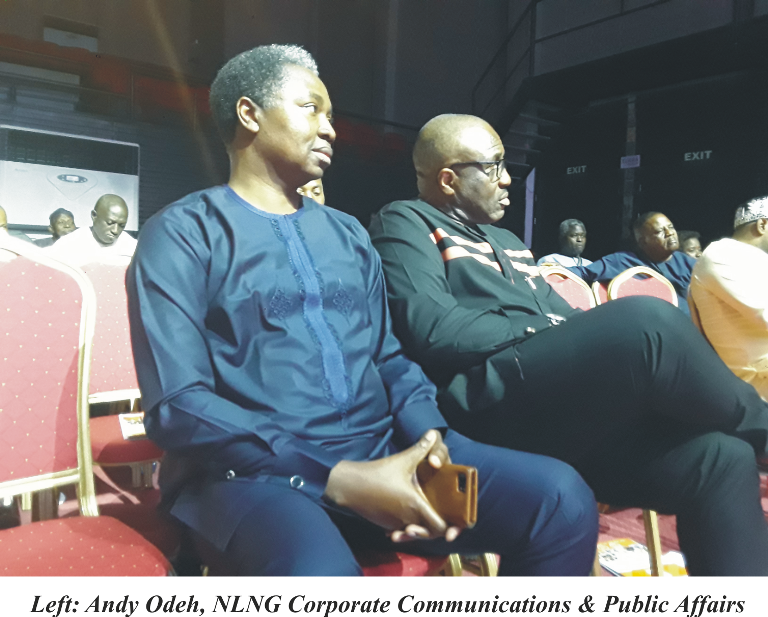 Stepping briefly on stage, Andy Odeh (Corporate Communications & Public Affairs), reaffirmed the oil and gas giant’s commitment to the prize: “People say to us, you are a gas company, so why literature? Because we are helping to build a better Nigeria through science but also through literature”. Moderator, Deji Toye, opened the book party discussion dramatically: “Whoever thinks Game of Thrones is intriguing has not kept in touch with Nigerian plays.” To the good-sized audience that had assembled in Terra Arena, Toye then stated that a good number of the long-listed plays (did I hear five or six? ), had palace settings. My heart sank. 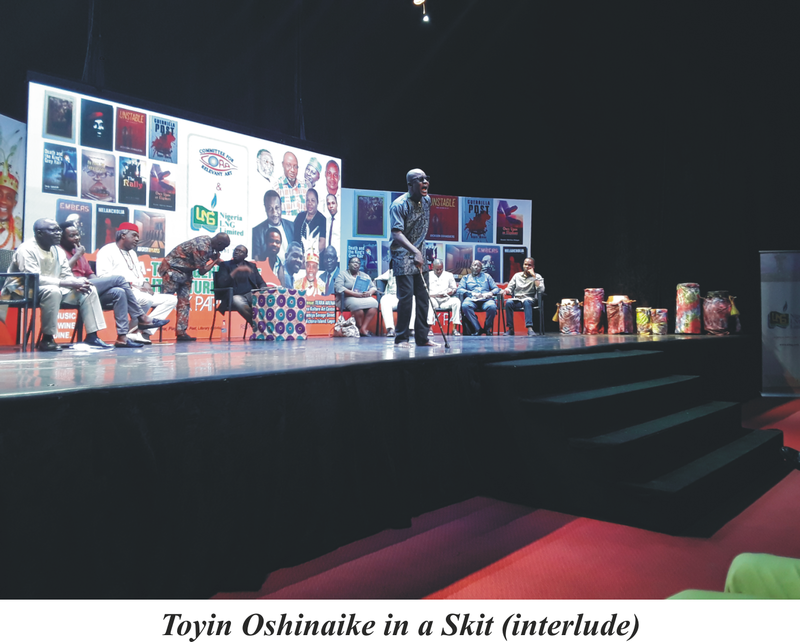 A stellar cast from Nigeria’s Nollywood (stage and screen) read excerpts of the plays. Toritseju Ejoh, Tina Mba, Toyin Oshinaike, Norbert Young, Charles Ekpo, Bimbo Manua amongst others, were solid, helping to illuminate fine and strong writing, and in a few instances, biting satire notably from Obari Gomba’s Guerilla Post and August Inmates by His Royal Highness Igwe Chibubem Iweka of Obosi Kingdom, actor, musician and playwright. He is also the first monarch in the history of the Nigeria Prize for Literature, to enter into the competition. 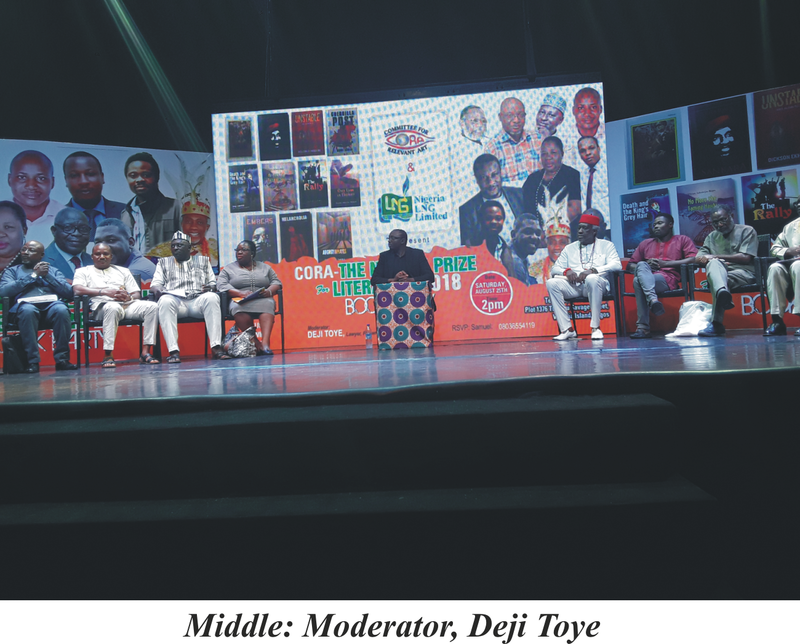 Corrupt leadership, inept kings, cronyism, dictators, decamping, marked men, ousters and coups, references and allegories rooted in history, these are the regrettably prescriptive themes of the plays competing for the Nigeria Literature Prize. Currently it is worth N37.5 million. 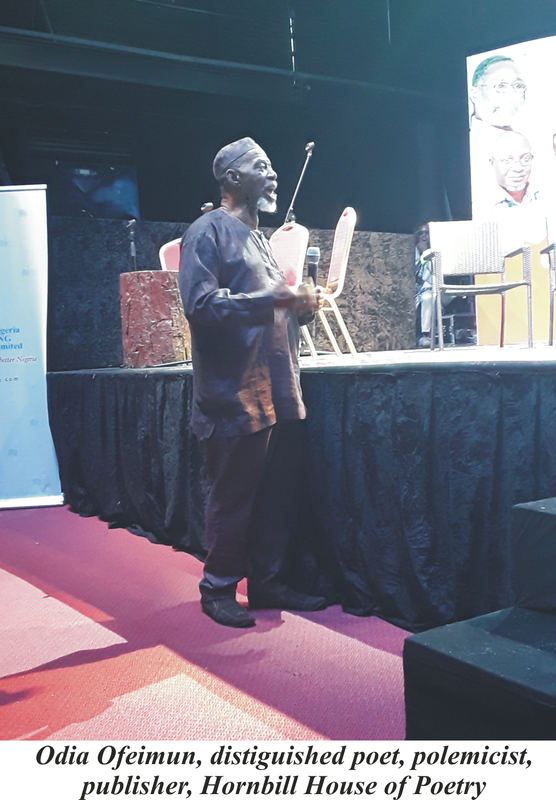 Literary critic, poet and lawyer, Deji Toye did what a good moderator, confronted with recycled tropes, needed to do: he asked why Nigerian playwrights continue to find it important to explore these huge social themes. 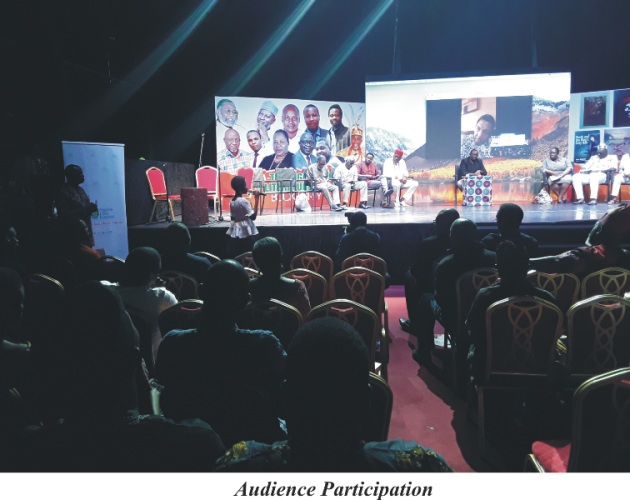 Because for many people it has become a source of concern, (notwithstanding the excellent entertainment and creative ability showcased in the excerpts presented by the actors), I felt I also had to gently protest the homogeneity of issues treated. During plenary, from the audience, I asked whether any of the playwrights would be prepared to consider sources other than corruption, or the palace, as repositories of drama: would they be prepared to look in other directions? Would they for instance consider the personal instead of the collective experience? The small rather than the macro-picture to source for ideas for stories? In staunchly held positions which I paraphrase here, the playwrights defended their choices: that the palace is the central point of African tradition and captures African traditions the best; that plays are designed for social change and that the African palace has become a harbinger of that change and therefore represents the perfect platform for looking backward in order to peep into Nigeria’s future. They declared in voices that brooked no argument that the function of drama was didactic, with one playwright insisting that dramatists were ‘prophets’. Bosede Afolayan is distinguished on the long-list for being the only female playwright in a male constellation. Citing Femi Osofisan, Ahmed Yerima, Wole Soyinka (understandably she didn’t reference the works of the dramatists ranged on either side of her on stage), she pointed to the missing link in every palace book she has read so far: women with political will and agency. Once Upon An Elephant, her own play, she argued, supplies this missing link. Iyaagba, the play’s protagonist, is not only a beautiful woman but a culturally relevant member of the royal household, excommunicated for being a purveyor of real solutions. Afolayan, lecturer in English at the University of Lagos, argued that the counter-cultural Iyaagba, is proof of her play’s diversity. The issue of conflict and power struggle was raised by a consensus of playwrights speaking with passionate (even defensive) voices; arguing that these elements – power struggle and conflict - were essential to performance and performance they explained, must resonate with the maximum number of audience members. I agreed with the first part of their case: conflict creates the stakes and generates momentum and the crisis points which compelling drama demands, but I held my ground that the time had come to look elsewhere for these things. As for drama resonating with audiences, I do not agree that the collective experience of humanity in the world is more effectively leveraged on stage than the personal. The collective experience of life in this world is no more human than my personal experience of life in the same world. The example that comes to mind is of a man alone on a stage. He is standing in front of a mirror and struggling to tie his tie with one hand, having lost the use of the other hand. This is a very personal experience which most of us have never had. But if the actor performs the man’s struggle to master the tie, well – if he demonstrates the anguish, the despair and then the joy when he finally succeeds, when he is victorious - any human audience will empathise with him. The man’s personal struggle will resonate - no doubt about it - with the audience; the majority of people watching him struggle, will get under his skin. I agree that they should. Posted by Henry Shires | 21.September.2018 2:52:30 Perhaps the question is not whether drama should chose to illuminate the grand machinations of kings OR the smaller lives of more everyday folk. Perhaps they need not be mutually exclusive. Both Game Of Thrones and every play Shakespeare ever wrote ideally illustrate the dramatic juxstaposition and interplay of these two ťstrands.